Deputy Land Surveying is a locally owned and operated, full-service surveying firm. We have served the King George, Stafford, Westmoreland, and Caroline region since 1986. We are licensed in both Virginia and Maryland. 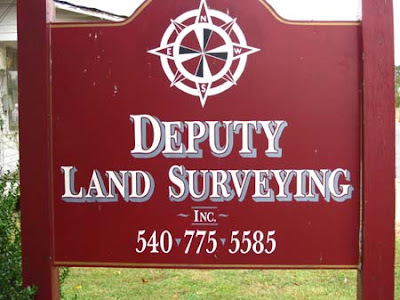 Since 1986, Deputy Land Surveying Inc. has served the King George, Stafford, Westmoreland, and Caroline region. Licensed in both Virginia and Maryland, we offer surveying services to residential, commercial, institutional, and governmental customers alike. Deputy Land Surveying Inc. is a locally owned and operated, full-service surveying firm. We look forward to meeting you and serving your needs. Deputy Land Surveying Inc. Copyright 2012. Powered by Blogger.